I cannot figure War Thunder out for the life of me. 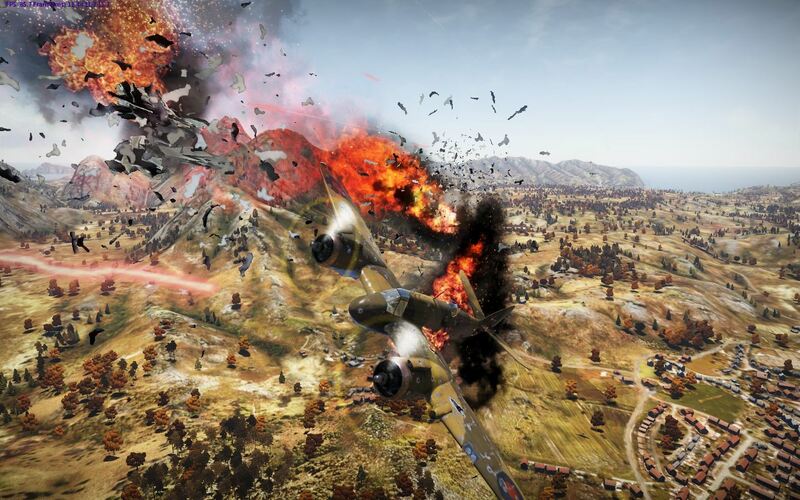 It’s a pseudo-arcadey free-to-play game in the vein of World of Tanks, except in this one you fly a variety of WW2-era aeroplanes around maps that are unfailingly gorgeous trying to shoot down the opposition and bomb enemy ground targets. It’s also a grognardy1 dogfighting simulator where you have to worry about altitude and air speed and the actual combat part is limited to split-second high velocity diving gun runs at enemy aircraft. Each is accessed through a different game mode, and how they’ve ended up being so wildly different despite using exactly the same engine and the same assets is worth taking a closer look at.